PUBG Is down to £15 for a Steam key on CDKeys.com - Thats a tenner chepaer than Steam. Please note I (Box) have never used CDKeys.com and am passing on info from the PUBG community, which seems to have a positive feedback. I would advise checking for yourself before buying and using Paypal to buy (so you can raise a complaint if there's any issues), but it Might be worth a gamble as the game is fantastic! 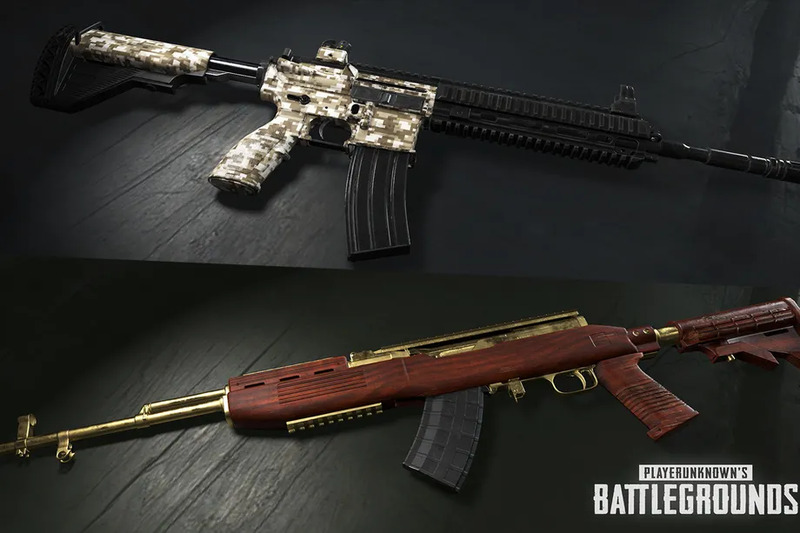 PUBG is getting weapon skins! Yesterday (Monday 26th) saw the news break that PUBG will be getting a new batch of cosmetic update items added to the game. THis is significant as its first-ever weapon skin update for the game. The gun skins will be unlockable with from new loot boxes called Triumph and Raider Crates. These crates only contain weapon skins, no other cosmetics. 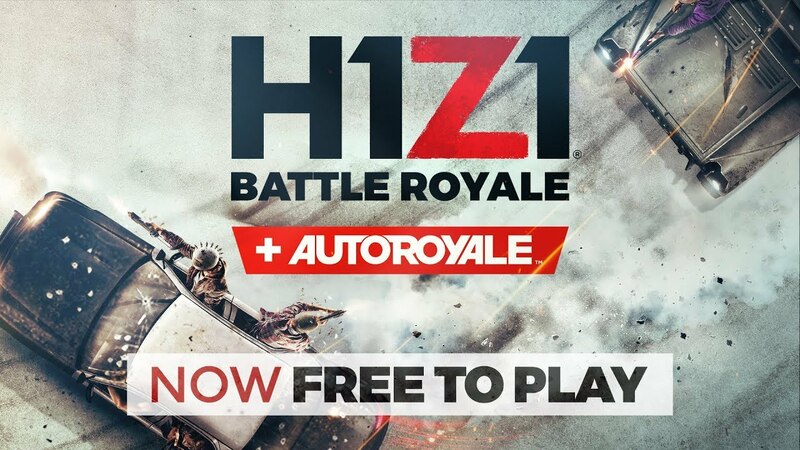 Earlier this month popular battle royale game H1Z1 went free to play in a direct attempt to compete against other massively popular titles in the genre, namely PUBG and Fortnite. This isn't a massive shock given how popular those other rival titles are and how much H1Z1 player base had taken a battering from these rivals, or considering that the titles was originally conceived as a F2P game. The move does however mean the title is bound to improve the longevity and interest in the title and could help inspire some innovated continued development. Our community will be encouraging members to try the game out and looking to play a few public games, so please make an effort to get on Discord and get some games going with other members! You've nothing to lose as this title is completely free - and if you do like it, it may lead you onto to other similar popular titles that are already popular with members! Rememebr we're always interested in seeing your videos of your games too, so get sharing your favourite in-game moments on our forum and via our Discord server! You can get the game from Steam now! Last week, details emerged of Bluehole's development road-map for their titan arena battle royale game Playerunknown's Battlegrounds (PUBG). This year has already seen the game launched as full 1.0 stable release, it set record levels of consecutive players and sold more than 30 million copies of the game worldwide (on all platforms). The game has come a long way since its humble ARMA2 mod beginnings, thanks to consistent development, performance driven gameplay and a wave of popularity within the genre. The good news is that 2018 looks set to offer even further exciting developments for the game, with Bluehole releasing a development road-map for the reaming three quarters. Check out some of the tastiest pics we've taken from their public statement released last week. The first major point of interest is the new map. PUBG currently offers two 8x8KM maps in the form of Erangel (Central American/Chernarus style map) and Mirama (South-West American desert map), the new map looks set to expand on these terrains by offering a heavy foliage and jungle inspired map - very similar in appearance to the Arma 3 map Tanoa. The other important thing to note about this map is that it's half the size of the other two maps at just 4x4KM. We're informed that the map wills till feature up to 100 players per match. This obviously adds a massive challenge in the fact that the map is a lot smaller and it going to more densely populated. However, when you factor in it's likely to feature lots of jungle areas, trees and foliage, it's a fair bet it will be quite difficult to see players and most encounters are likely to be CQB. The new map is due to drop next month (April). With the inclusion of a new map is the hint of new vehicles too. No specific details have been leaked yet, but there is a strong possibility that at least one the new vehicles could be map specific. The community are speculating all kinds of weird, crazy and exciting vehicles with bicycles being one of the more commonly suggested - which, given themap size, makes a lot of sense! We should expect at least one new vehicle around the time of the new map. Again, more weapons are being promised for the year, but specific details are thin on the ground with the only official word about testing providing a revealing graphic, which many in the community believe to be an FN Fal or HK G3 variant, which makes a lot sense as both are older DMRs. The screen shot confirms it is a 7.62 rifle, so its clearly going to be a DMR/Sniper designated weapon. 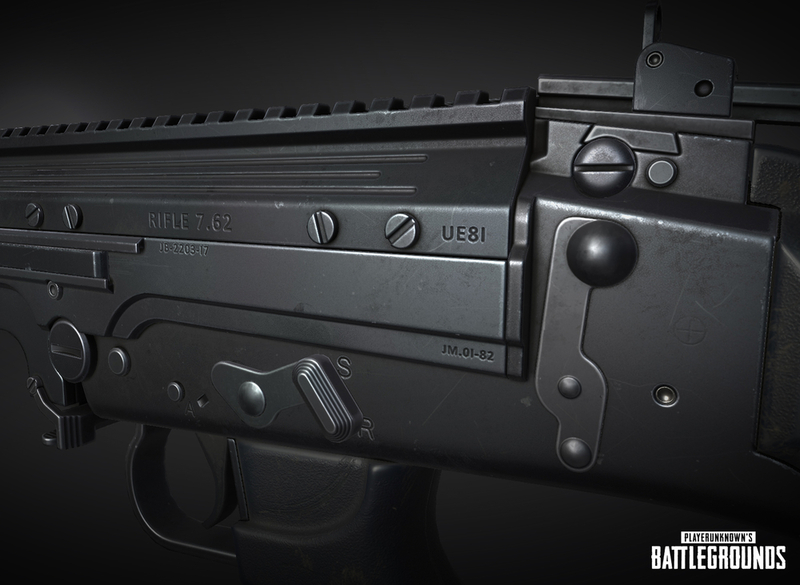 Again, given that there's a new map, chances are there will also be new weapons that may be related to the terrain, enhancing on game play suited to CQB - so we may be talking about the introduction of more pistols, SMGs and maybe some attachments or even camo options (such as painted or ghillied versions). Weapon skins were mentioned in relation to acheiments and in-game voice/squad controls, so this seems increadibly likely. As usual, the community have a long, long, long list of suggestions. Some of the more plausible suggestions include the P90, the Bizon, M4 Carbine, AKU and even some suggesting the 417 DMR. The official statement from Bluehole is "We're still early days when it comes to hammering out all the kinks and details, so I'm unfortunately not yet at a place where I can share specifics.". The fact that new game modes are being worked on is very encouraging, with the community already speculating this may be their attempt to directly compete with main rival title Fortnite's base/structure building ability. I guess we'll have to just wait and see! The developers are looking to increase and build on the games depth to create a more realistic gaming experience. The idea being that there is much improvement needed to the physics and hit-zones of players traveling in vehicles, which is a bitter sweet pill to swallow as vehicles are already a very dangerous means of transport. Having said that, there is significant community requests to make vehicles a bit safer and to have penetration physics applied to their shells better, meaning some vehicles offer better protection and there would be key hit points within each vehicle. Nothing specific has been mentioned other than its on the road-map for 2018. This is likely to include better character movement too. This doesn't seem like it will be a priority, but its a nice touch and would be welcome if and when it's introduced. Again, melee combat and parachuting movements are also promised to be overhaul and improved in an effort to make them more responsive. The melee combat in particular could really do with this to make it more relevant early game. There are some significant tweaks and improvements planned to improve the 3d Replay system and matchmaking systems. As E-sports is a big part of PUBGs appeal, these are likely to be high priority and should see the game make more advances in the competitive gaming field, which again will only go to further cement its lifespan and development. These are welcome enhancements and are planed in two phases, vehicle sounds in phase one, player sounds in phase two. Suspension and skidding sounds seem to be the main part of the vehicle improvements promised, but there will also be rain and weather sounds added to each vehicle surfaces, making for more realistic sounds and adding to the challenging environment. Ballistic weapon sounds are also likely to be included in this vehicle/environmental improvement phase, with developers saying they are set to sound "more distinctly different" depending on a players position. Custom games are also set to be improved, no details have been provide on this yet as of yet. Hopefully this will include more bespoke rules, conditions and controls to enable greater media production, team practice sessions and better large clan/community accommodation. There are plans to introduce an official "PUBG Developer Portal" providing a PUBG Developer API, official dev blog, and technical notes for new game updates, along with much more data in general for developers who want to create third-party resources like, say, ranking and stats websites that you see for games like League of Legends. As with the previous years development cycle, stability and optimization are high priority and this will be going on continuously throughout the year to ensure the game remains playable for large amounts of players. This is likely to be a lengthy process that will see peaks and troughs as new features are worked on and introduced so expect some bumps in the road! Discuss these features and tell us what you want to see improved or added in 2018 here! With PUBG popularity and activity within BSB increasing lately, we've replaced our in-house hosted roster on our website with the live stat tracking service provided by Stat Tracker. This service allows members of the community to join our team roster and easily see their own (and those of the BSB PUBG clan) key stats. All members are encouraged to join, this can be dove by following the link form the "Community" menu. In order to join the BSB PUBG Stats Clan you first have to register at https://pubgtracker.com/ and then let us know you're In-game name (eitehr here, on the forum or on Discord). We will then add you to the roster. Its that simple. 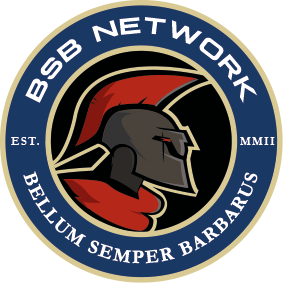 Register to join BSB PUBG stats list here!